Luke here, your friendly neighborhood part timer at our Ellicott City location! I just started with the company in August 2018 and am loving it here! 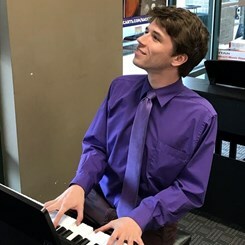 I'm currently working on my degree at UMBC in Computer Engineering and Music Technology, and am always looking for the next best thing musically. While at the store, come see me to talk about piano, composing, and anything musical.